A while ago I lost my bungalow along with the garden I had all my antennas in and my interest in Ham Radio waned at least till I got myself a flat in Quebec house , 8 floors up from the ground nice view but nowhere to put up any antennas . I had this Idea that I should get out and about,get a bit more exercise and a few more contacts so why not get myself a 2 meter multimode and get out on the hills and valleys. 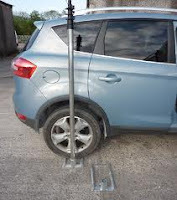 The Idea behind getting a multimode was so that I could join in the 2 meter contests and generally get out and about in the car to some high places, I already have a drive on stand made by my good friend Simon 2E0HTS all I need to get is a telescopic mast for my drive on mast support kind of like that in fig 3. Anyone know where I can get some leisure batteries and a cheap generator, I might even get an inverter and a cheap rotator.I decided to have a look on fleabay and up popped a good old Yaesu ft-480r a decent 2 meter multimode ( fig 1) ,so I bid on it and won it . I now had this radio and wanted to try it out, I had bought a yaesu Ft-290 from the Manchester rally earlier this year , My friend Craig 2E0CSD Craig asked me to get one at a reasonable price and that one was so I got it & he's paid half of what I paid for it. 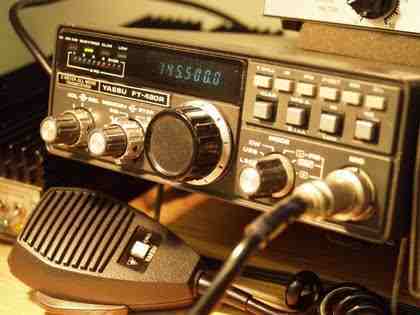 Now as well as Craig there is another with an FT-290 and his name is Chris M6FZR, that's why Craig wanted one so we could all try the 2 mtr SSB calling (144.300MHz ) it 's very under used except for contests when you can't get a word in edgewise. We put our heads together and we came up with a 3 element yagi antenna and some poles we could stick into the ground just to test every thing out. The problem was that on the Friday it stared to snow, but by the Sunday most of it had melted so we decided to go up to whetstone gate colloquially known as the Keighley gate (fig 4) and give a shout.With me being an experienced driver in snow we decided to try to get as far as we could and give a few shouts out. I wasn't expecting to get any answers on 2 mtr SSB (144.300) but I gave a call out anyway and was surprises when John M1AEB answered my call thanks John,We stayed up there till about 16:00 hrs ( 4pm) and the total contacts came to about 9 some on SSB (144.300) and some on FM (145.500) It just goes to show what a bunch of loonies we radio hams are. Very nice to see you back here. 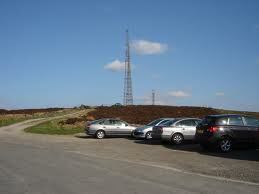 Thanks for the QSO earlier on GB3TP, we will have to do it again soon. 73 catch you soon buddy!